Sitting at just over 1000 miles from Bali, it’s no surprise that Darwin is many people’s first point of call in Australia. Some travellers stop there for a while, while others scoot on through to the bigger, livelier cities of Sydney and Melbourne. In fact, many people think that there aren’t many things to do in Darwin so don’t even leave the airport on an elongated Darwin layover. I’m here to tell you that ain’t true – there’s plenty to do in Darwin, and its size makes it perfect for a layover without feeling too stressful. 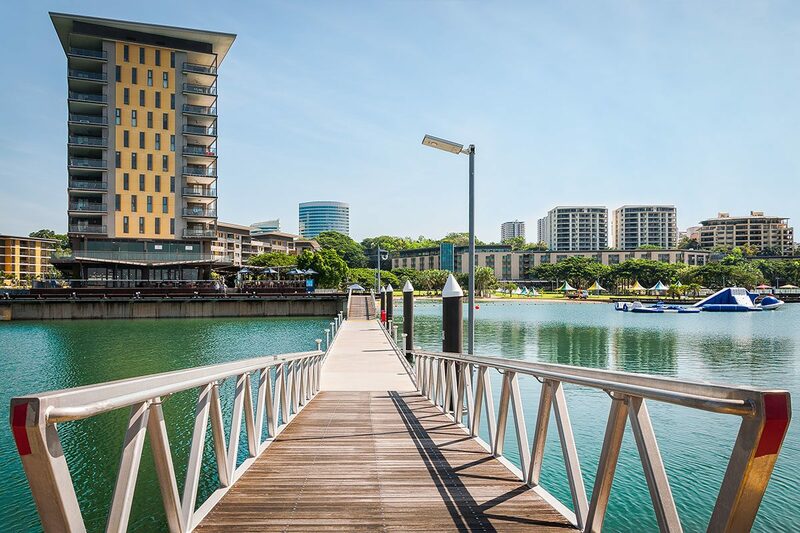 Here’s a quick guide to the best things to do on your Darwin layover, showing you the best of the city! I’ll list the finest Darwin attractions to spend up to 12 hours in the city on. 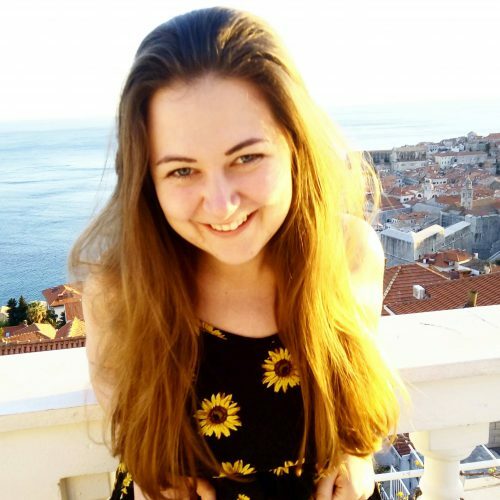 But first things first – have you got your visa? All travellers and backpackers to Australia need at least an ETA (electronic travel authorization). If you’re from participating countries (includes most European countries, the USA, Canada and some South American and Asian countries), get your ETA Australia now. Darwin airport is tiny and normally, quite sleepy. Flights leave to Australian and Asian destinations. Do be aware that Australia are very strict with what you can bring into the country – nearly all food is a no-go. If you have anything you’re unsure about, declare it. It’s better than being caught. From the airport, you can take a bus into the city – it costs between $3-$7 and takes around an hour. This is however, a very long time (considering by car it’s only 10 minutes drive to the airport) and the nearest stop is actually a 5 minute walk from the airport in Charles Eaton Drive – so if your budget allows it might be better to take a taxi. The #6 bus will take you from Darwin centre to the Museum and Art Gallery of the Northern Territory, a great spot to learn about the local area. You’ll leave with a new-found appreciation for anyone or anything that manages to survive in this climate – it’s a rough old ride, I’m telling you. Exhibitions include one detailing Cyclone Tracy, which wrecked the town on Christmas Eve 1974, and the saltwater crocodiles who call the Northern Territory home and also happen to be some of the most dangerous creatures in the world. 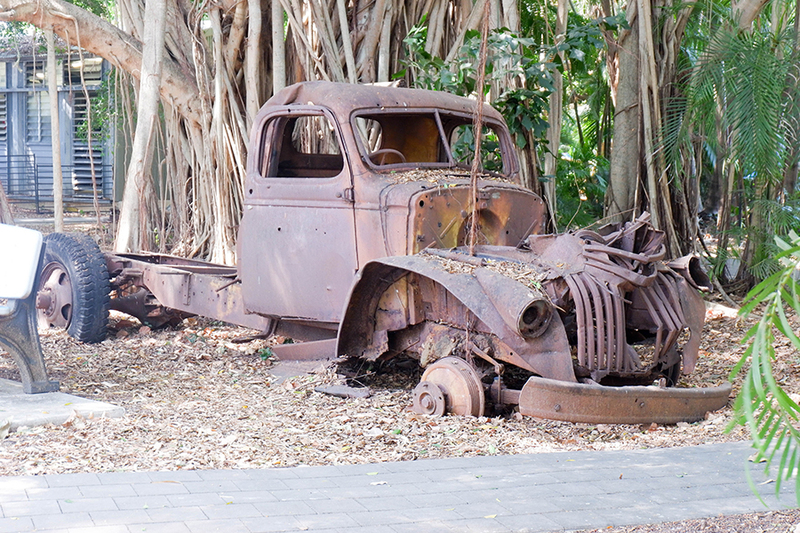 Jump in a taxi or get the number #5 bus (involves some walking at both ends) to the Charles Darwin National Park. 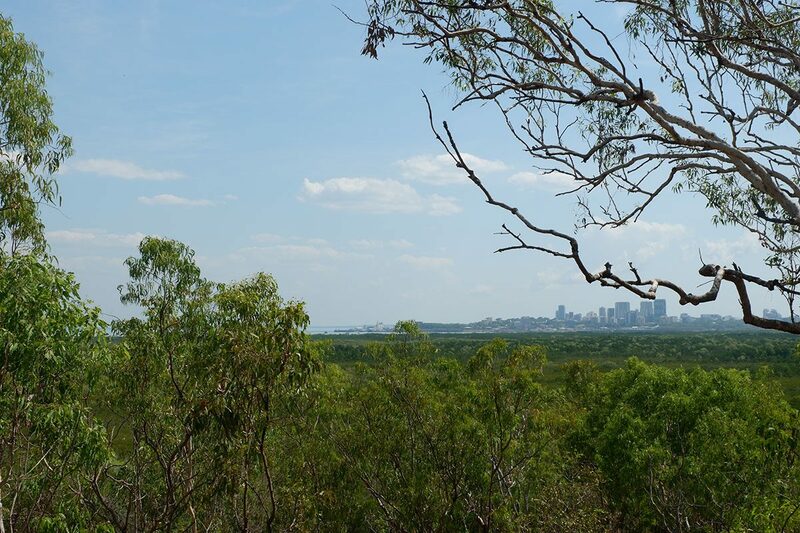 This is a great spot for local bushwalking, checking out the views of Darwin’s coast and skyline and learning about the WW2 history in the WW2 bunkers. Darwin is one hot place, but you’ll soon learn that you can’t enter the sea here due to the immense amount of absolutely lethal animals. Box jellyfish and our friends the saltwater crocodiles are just two of the many – and swimming in the open is strictly off limits. Luckily, there’s another way to cool off after exploring the city. Take a dip in the natural lagoon, which has barriers to prevent unwanted guests, or check out the wave pool. Both are located in the same area. 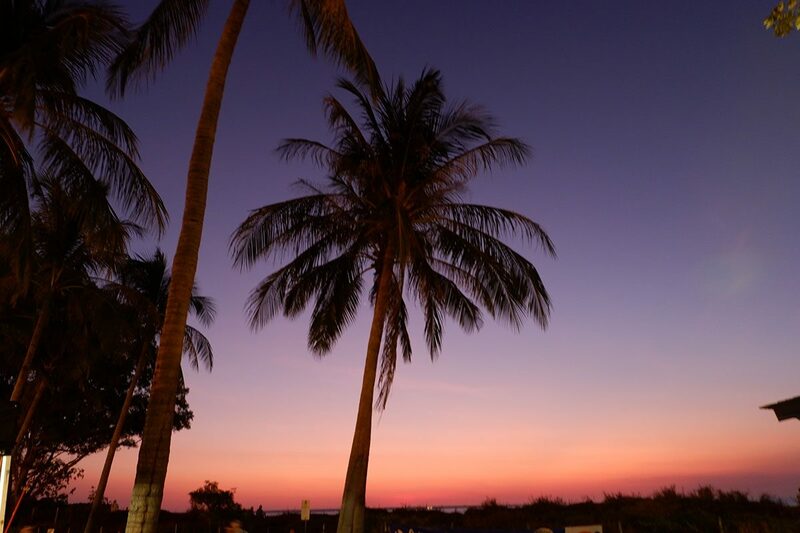 If you’re visiting Darwin on a Sunday or Thursday, you’ll get the chance to enjoy Mindil Beach Sunset Markets. Enjoying the vantage point of a beautiful sunset over the ocean, Mindil Beach Markets offer all sorts of world foods as well as arts and crafts including Aboriginal art – and often have live music. Listening to a didgeridoo while watching the sun set isn’t a bad way to end your Darwin layover! Many people love Mitchell Street, many people hate it. Think of it as Darwin’s answer to Koh San Road in Bangkok. It’s full of backpackers especially in the dry season, and is certainly not somewhere you’d want to go for a quiet night! But if you have a night in Darwin and fancy seeing how the city parties, then look no further than Mitchell Street. It’s worth emphasizing that Darwin has a really dramatic climate – so you might need some special things for visiting. 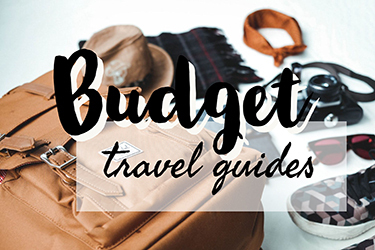 You’ll also want to make sure that you’ve packed properly for Australia in general – check out my Australia packing list to get the full guide. Double check that you have your e-visa sorted (you don’t want to get all the way to Australia to be turned away!) – to make things simple, you can book it through an agent like e-visums. Sun cream – and lots of it. Loose, light clothing – it gets so sticky here! If you land in Darwin early in the morning, I’d recommend going to Alley Cats Restaurant for breakfast. They serve delicious dishes with great veggie options. It’s the perfect fuel to begin a day’s exploring! If you’re craving a curry, Hanuman will deliver. Offering authentic dishes that are very close to the real thing, this eatery serves up traditional fare in a lavish setting. This spot is great if you’re searching for some health food after a long flight. The restaurant follows Ayurvedic principles, which is the Indian philosophy that health can be found through eating clean, fresh food. Try the delicious chocolate cake and salute to your health! Do you have longer than one day in Darwin? Some people end up spending longer on their Darwin layover before heading south to Adelaide or west to Broome via the Gibb River Road (or north, if you’re going from Australia to Asia!). If this is you, you might be keen on seeing what else the capital of the NT has to offer. 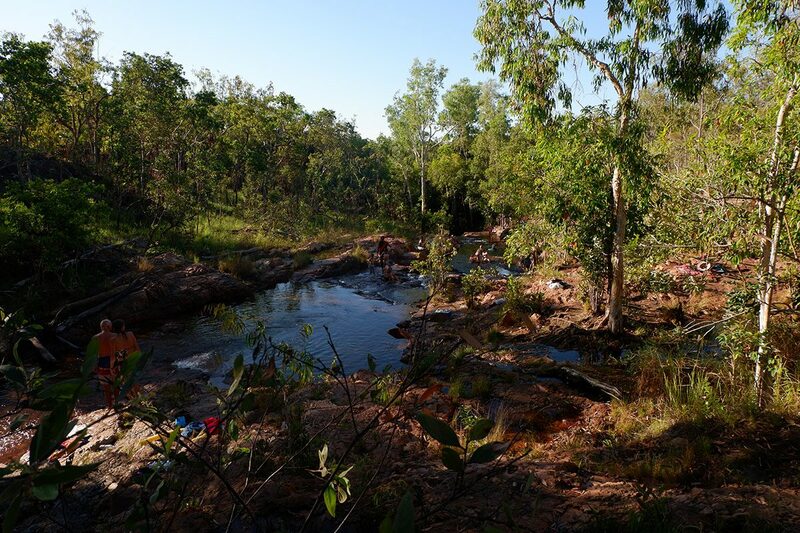 And that’s a great decision – the best of the Northern Territory lies in its nature. 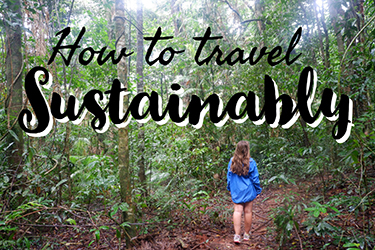 You could do this on a one day Darwin layover too, but it’s worth a good half day of your time. The Darwin Military Museum is a great interactive exhibition of Australia in war, focusing on WW2 but also featuring the Korean War, the Vietnamese War, and every other war Australia has been involved in. It’s a must for all fans of war history, and from someone who has only ever learned about World War Two from a European perspective, I found it very interesting. Litchfield National Park is a very accessible spot about an hour from Darwin. 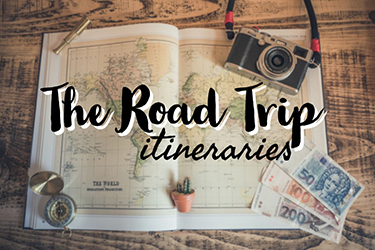 You can either rent a car or go on a tour to see it; it’s full of waterfalls, hiking trails and interesting natural formations (including huge termite nests and an entire lost city!). If you have a spare night, there’s also free and paid for camping available around the park; it’s one of the most popular weekend trips from Darwin. Dubbed ‘the Islands of the Smiles’, these Aboriginal owned islands make for a great day trip from Darwin. Comprising of Bathurst and Melville islands, they’re famed for their lovely people, amazing artwork and love for Australian Football League. Darwin tour companies operate trips to the Tiwi Islands, which tell their story as one of the best places in Australia to learn about Aboriginal culture. If you enjoyed this post, please share it or follow me on Instagram and Facebook!